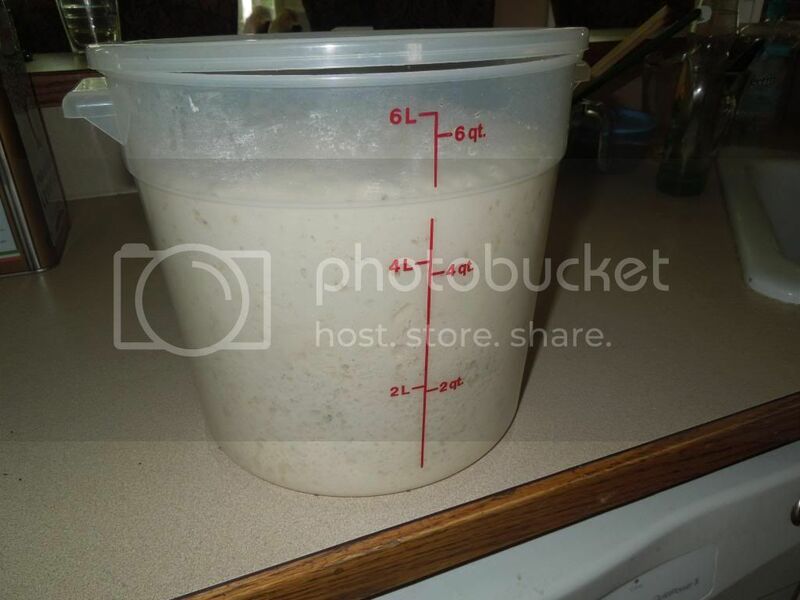 All you need is a big Tupperware container that can hold 6 quarts, wooden spoon and measuring cup. 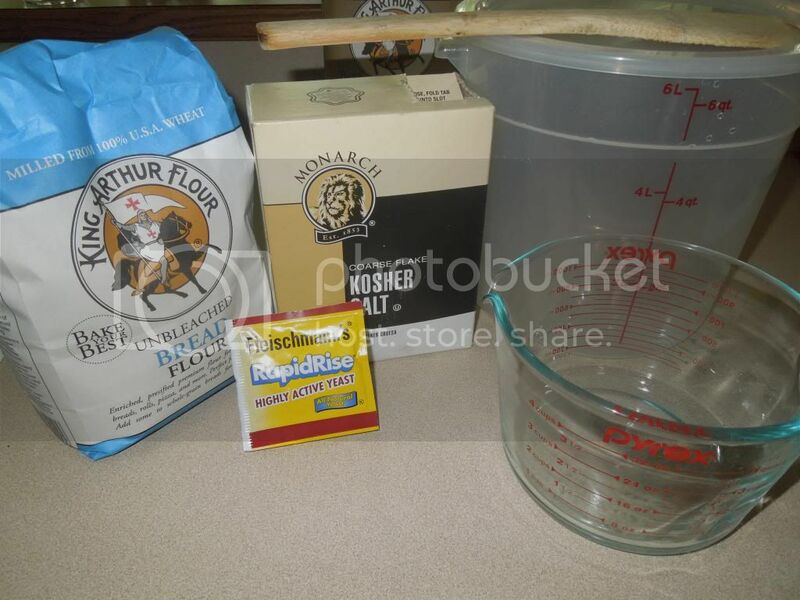 Mix water, salt and yeast in tub and blend. 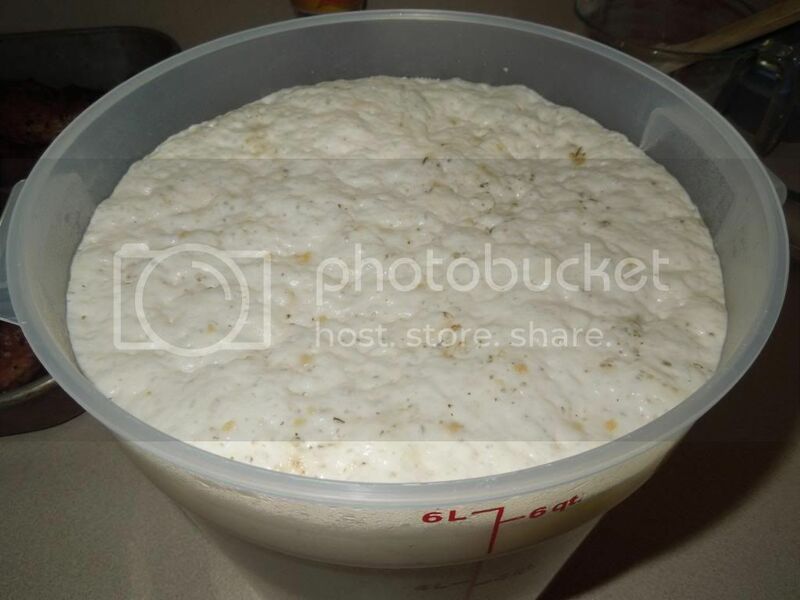 Add Flour and mix with spoon. I have an Akorn. I put my pizza stone on the elevated rack. I made a poor man's diffuser. 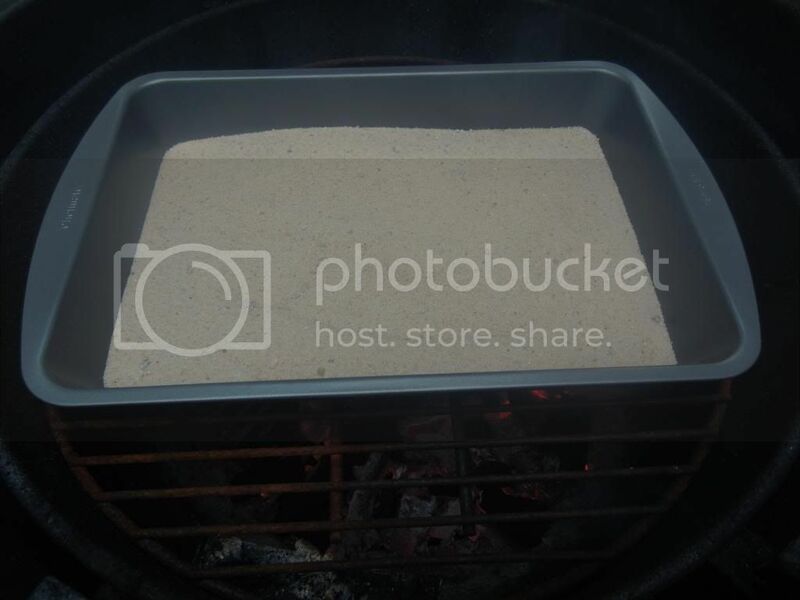 Cake pan with sand. Let bread rest 15 minutes and chomp away. I like to dip my bread. 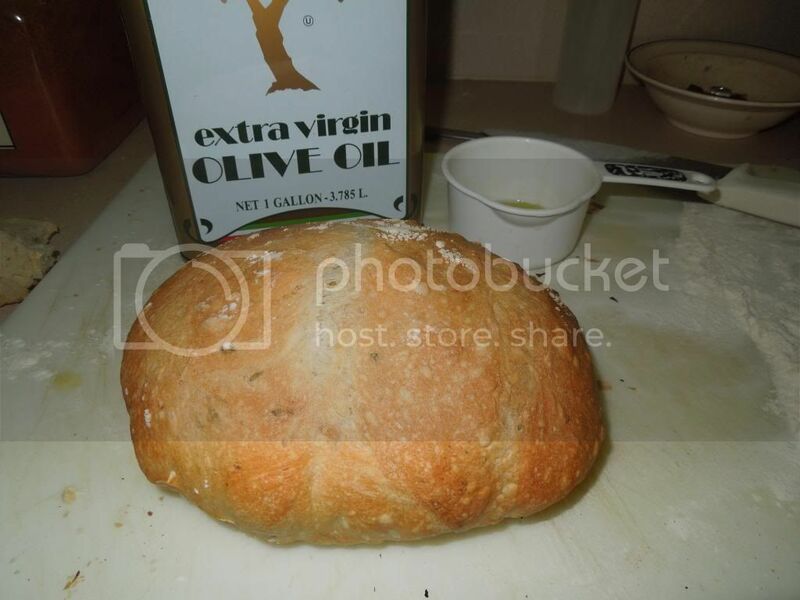 A Basic bread dip is 2 parts EVOO and 1 part Vinegar. Whatever vinegar you like will work. Sometimes I'll add parmesan cheese and some spices. Some other photos. If you have questions let me know. That looks great. 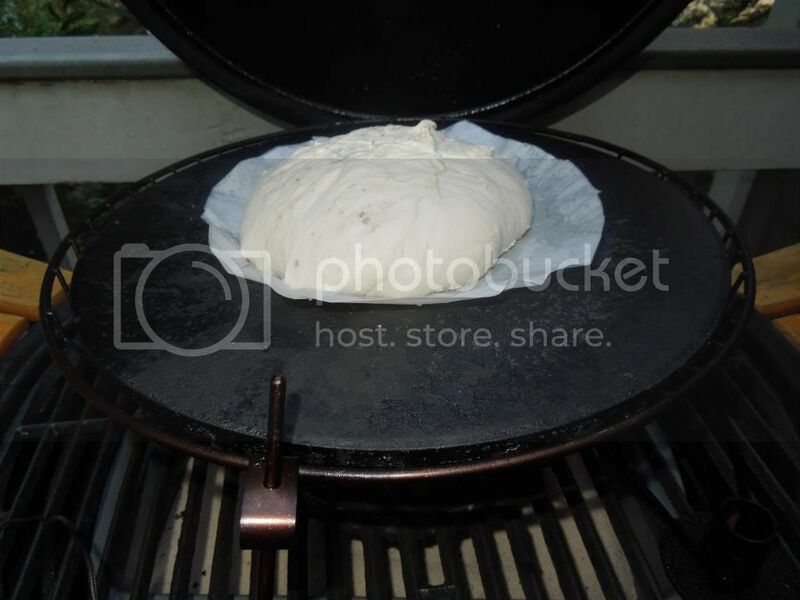 I haven't made homemade bread in a couple of years, but I think you have just inspired me to give it a go on the Kamado. 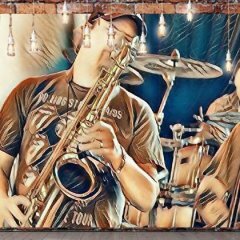 Thanks for the great pics. 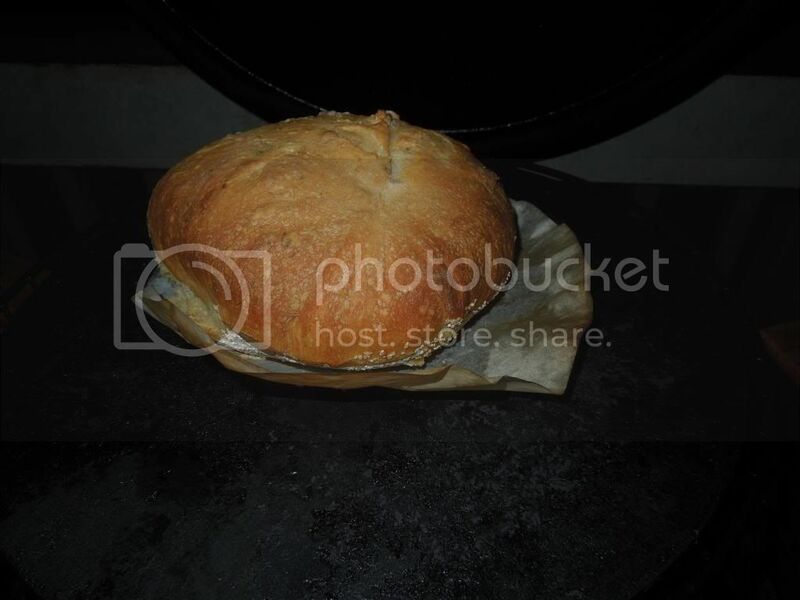 The bread looks wonderful. I will try your method next time. 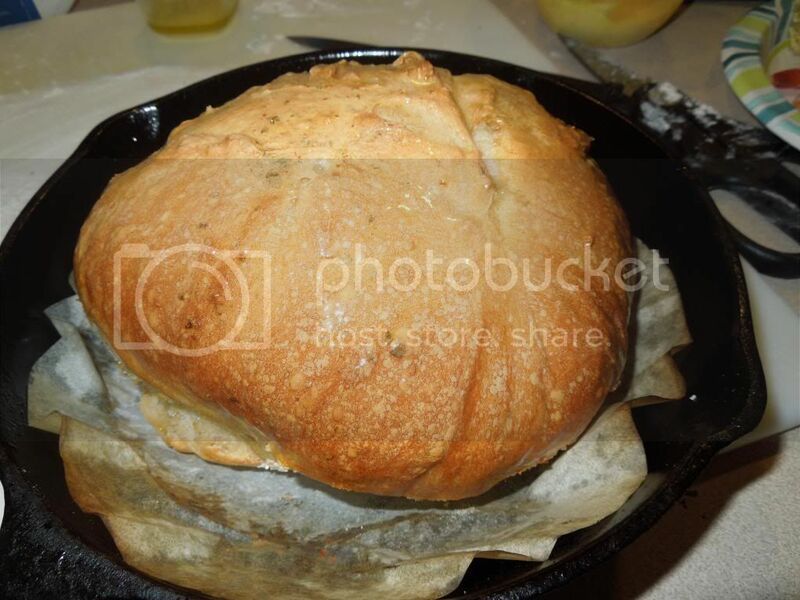 I usually put mine in a cast iron dutch oven, but yours seemed to have browned much better. I debated between Dutch and stone. I have cooked a lot in a dutchie. I just thought the convection of the Kamado would be good. It worked out well. The great thing is you can open up the top vent and peek in to check for brownness. .
That bread looks awesome, great job! I've only made bread twice, the first time it came out amazing and the second time not so good and I used the same recipe, not sure what happened. Practice makes perfect so I guess I will try again. Looks good and a simple recipe, which is what I like. Thanks, Remoh for a really excellent and educational post. Do you ever put anything on top of your bread for seasoning etc? I have better luck with cheeses on top, Parmesan is my favorite. It bakes up nicely. 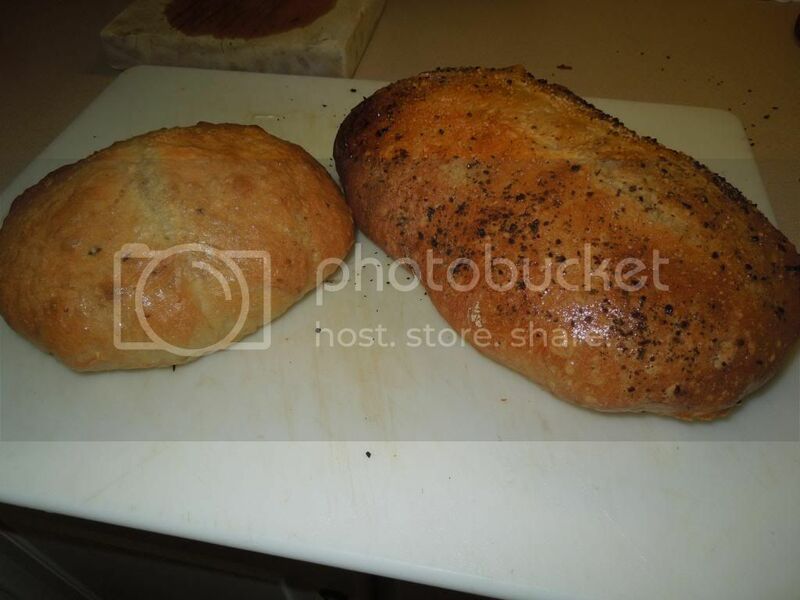 Sometimes poppy seeds or sesame seeds. I like blending my spices into the dough. Rosemary, garlic cloves, chopped garlic, fennel. You can even blend in some vegetables if you like. Sun Dried tomatoes. Diced fresh Jalapeno's. The sky is the limit. 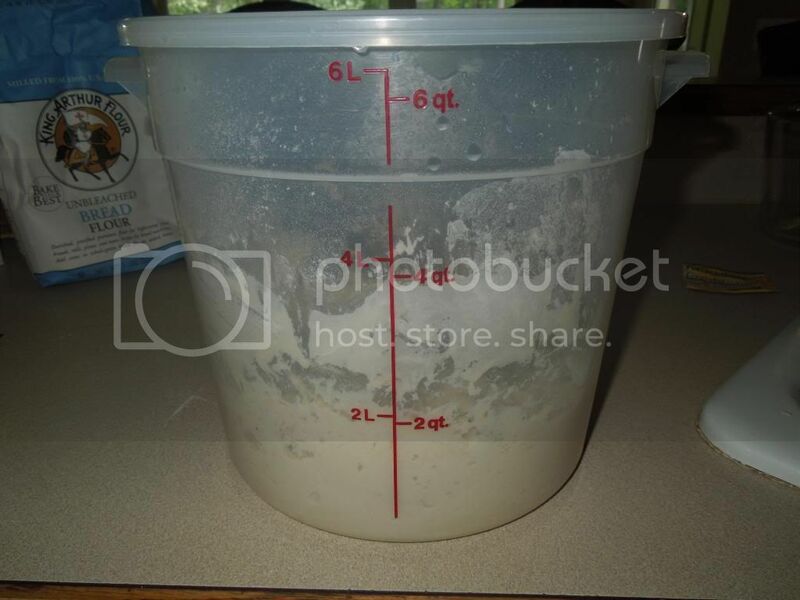 If the dough gets too wet down just blend a little more flour in. This is a good base recipe. You can take it in 1000 different directions. Some other notes, The dough is easier to handle when it has been refrigerator. Put it in the fridge after it rises. Pull out a hunk/shape and let rest at room temp for 30-90 minutes. 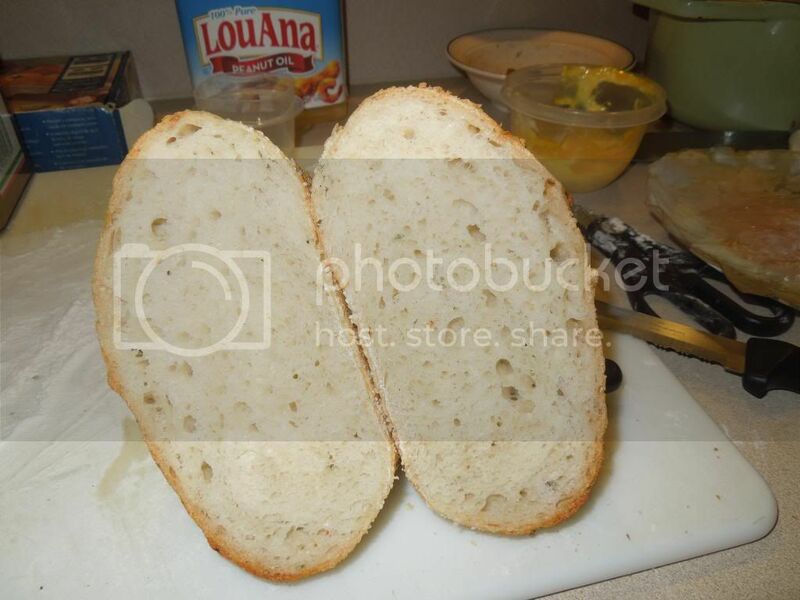 This will increase the big holes inside the bread.